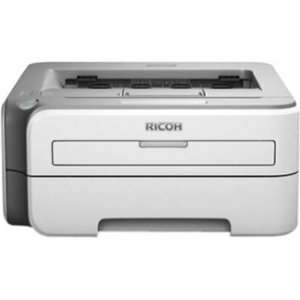 compact RICOH Aficio SP 1210N network printer is designed to save you more than space. This entry-level laser printer offers exceptional media versatility and a host of innovative capabilities to enhance productivity and reduce total cost of ownership. With its small footprint and easy-to-use design, the SP 1210N laser printer provides simple, convenient monochrome printing for a wide range of applications and environments. For medium-to large-size enterprises implementing Ricoh's Managed Document Services (MDS) strategy to small workgroup settings, the SP 1210N supports everyday print demands quickly and cost-effectively.